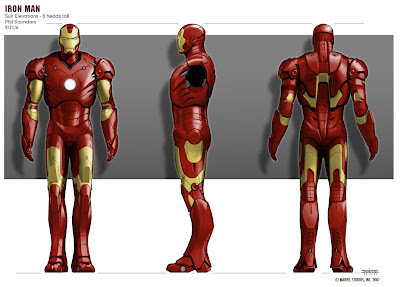 Oh, and here are the suit elevations, I thought I had posted them here, but I guess it was just up on conceptart.org. Great post Phil, along with all those that came before it. Really inspirational. I hope one of these days you get down to publishing an art book. Phil absolutely outstanding artwork. Congratulations! I hope you don't mind but I'm showing your art to my present art students at Northern Secondary and bragging of my small input to your success. They are thrilled. You are a bit hit at NSS. I am telling them it takes a huge commitment, hard work, enthusiasm, and talent but that it's not work if you love doing it. You are an excellent example for them of what can result from combining those ingredients. Well done ...Mr. Mac. Met talk a big success!